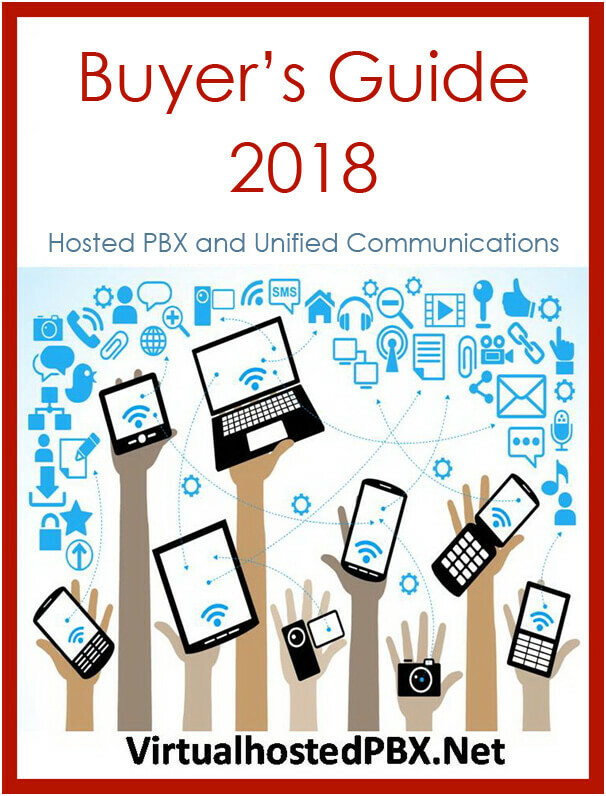 Following on from our article regarding VoIP Logic’s report into the demographics, sales and technology of VoIP in 2015 where they determined that the largest selling service was hosted IP PBX services we have drilled deeper to establish which companies are the best performers. The criteria for determining whether a vendor’s service is business or residential are typically determined by the features that they offer as standard. Business hosted PBX solutions generally go beyond the capabilities of a mobile phone or landline service in that they provide a vast array of additional call handling and management features. These generally will include multi-line support, call handling capabilities such as call transfer, call queuing, parking, recording and find-me follow-me techniques so that you never miss a call. Additionally, with the focus being on business there will be extended call conferencing, perhaps with video capabilities and other collaboration tools, such as desktop sharing for video presentations that takes them well beyond the functionality of a standard mobile or landline service. RingCentral’s Office is their flagship product and it is aimed at SMB customers that require a fully featured IP PBX that can rival the call handling features of large enterprises. The Office product supports a vast array of features aimed at the business user. RingCentral have developed a service that doesn’t just give you standard business capabilities such as auto receptionist, IVR menus, call transfer, and voice mail, they go beyond those basic features to provide call center/contact center capabilities so that even a small SMB or start up can provide a customer care or technical support center. Furthermore, RingCentral recognize that modern business requires collaboration and they provide the necessary integration tools to let you share your Outlook contacts or CRM customer records. These integration tools allow for greater productivity as you can connect and share files, contacts, or browse a customer’s call history without having to flick back and fore between windows. RingCentral Office integrates with Salesforce.com, Microsoft Office, Dropbox, Google and Box. See the RingCentral’s Office full review here. See the RingCentral’s Professional full review here. Broadvoice Cloud PBX service is another top ranked business service that comes with a great reputation for support and a wide array or features and phone options. Broadvoice also supports softphones and a mobile app. As a business service Broadvoice has all the standard IP PBX features such as an auto receptionist, IVR menus and online administration. There are also call centre features with some nice training and supervisory tools like call monitoring, call barge and call whisper , which announces the caller’s name. These features provide all the business capabilities for an SMB or startup to appear as a large company, hence its top 5 placing. Jive Communications provide an enterprise-class IP PBX similar to RingCentral’s in feature set and functionality. It has all the standard business features an SMB would need plus some of the call enter capabilities such as call recording, call monitoring, call barge, and advanced call queuing techniques. Jive also comes with a desktop and mobile application so that you can leave the office but still be on the company switchboard and receive and make business calls. In addition, Jive also has excellent call reporting tools and reports, which makes administering the system very easy. However, it does need to put as much thought into system administration as it has with reporting as bulk handling of user accounts can be tedious. Despite this Jive has an excellent reputation with customers who like their online self-help features and tutorials. Skype is probably the best known VoIP provider but that is usually in its capacity as a residential customer service for PC to PC, voice and video calls. Skype for business endeavors to go beyond the hugely successful home service and branch out into the business market, with their Skype for Business service. Actually, there is not a great deal of difference in the services as they both prominently feature voice and video functionality, and are light on call handling and management. Skype for Business for example is in no way an IP PBX as it has few call handling features or capabilities so it isn’t going to replace the business PBX. What it does excel at – and for SMBs and startups this can be exactly what they are looking for – it fantastic video conferencing and presentation tools. Skype allows you to do full video presentations, for training or for customer product demos, and it has an array of nifty collaboration tools. There is for example, desktop sharing where the conference call monitor can share their desktop, files or documents and others can review and edit them online. There is also a shared whiteboard that every member in the HD video group can see, share and edit, again this is excellent for remote training and customer meetings. Skype is also, as you would expect, strong on messaging and this again is a great collaboration and productivity tool. The first thing to establish is that Vonage for Business should not be mistaken for an evolution of the standard Vonage VoIP residential service as it is completely different. Vonage for Business is a full IP PBX service that delivers excellent voice quality and high performance handsets, desktop and mobile apps. The Business service also has full enterprise-class feature-sets and call center capabilities however some of these come as premium features and at an extra cost. Where Vonage excels is through their VoIP pedigree with International VoIP call rates. Therefore, if you are an SMB with an international client base this could be the service for you. See the Vonage’s full review here.